In the late 90s, when Alison and I returned to Leeds and began to gather people together with the intention of planting a new Vineyard, Leeds was blessed with a marvellous bunch called the North Leeds Vineyard. But we had bought a house in North Leeds (which is where we are from) and were left scratching our heads wondering what name we should use: North East Leeds Vineyard?, Alwoodley Vineyard?, White Rose Vineyard?. We were stumped. 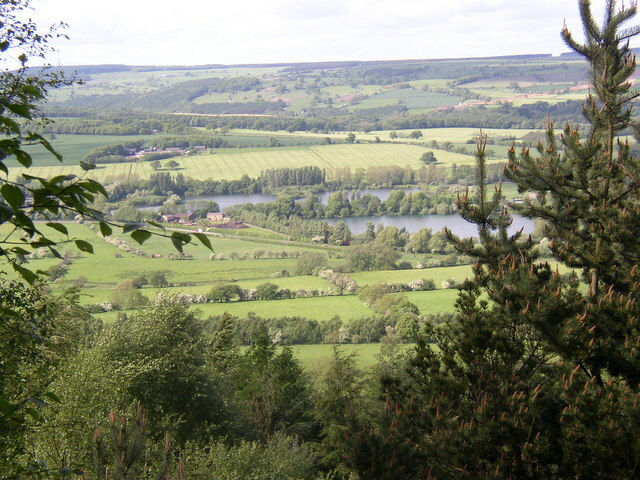 Then a little while later we were walking with the boys along Otley Chevin and as we gazed out North across the Wharfedale valley I felt the Lord say, “this is where you are”. So we called the church, the Wharfedale Vineyard. It wasn’t a particularly meaningful label, it wasn’t forever, it was just where we were. As it happened, we gathered a wonderful group of people from up and down Wharfedale over the following years and the name suited us well (unless you were a southerner in which case we got mixed up with a popular salad or a famous hotel). I loved the fact that Wharfedale is a viking word made up of wharfe, which means bendy and dale, which means valley. The bendy-valley-vineyard! As the calendar tipped into 2010 we began to feel that the time had come to think about the name again. North Leeds Vineyard had come to an end and in the subsequent years we planted (or helped plant) Vineyards in York, Harrogate and Sheffield. So our remaining people were increasingly focussed around North Leeds. In addition, although I love the Dales, I am a city boy and have always felt called to bring the kingdom to Leeds - citywide. So our focus has steadily settled on Leeds. Practically, when someone in our area does a web search for a Vineyard, they will more likely know where Leeds is than Wharfedale. Finally, Leeds is easier to spell than Wharfedale! So we are now called Leeds Vineyard but many of us hold on to precious memories of the Wharfedale Vineyard and thank God for the wonderful, miraculous, saving things He has done within the community carrying that name. The name has changed, but nothing much else. We have the same purpose, we do the same things, we worship the same Lord, we minister in the same places. P.S. We are keeping the Wharfedale Vineyard Charity in place. Leeds Vineyard (and, for a while at least, Sheffield and Harrogate) will operate within the Wharfedale charitable and financial structure. If you give to Wharfedale Vineyard the money will still end up in the right place. New gifts can be made to Leeds or Harrogate or Sheffield Vineyards. Here are Our Vision and Our Values.